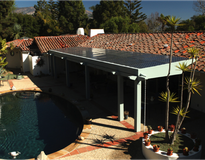 SunPower’s Power and Product home solar warranty covers your entire system, including the power it generates, for 25 years. (Monitoring hardware is also covered by SunPower, but the term is for 10 years.) And we’re the only company to cover all costs associated with repairs. It’s that simple. Because we design and manufacture the entire solar system, instead of piecing it together from different suppliers, we confidently stand behind our products with the SunPower ® Complete Confidence Warranty. From NASA engineers to gutsy airplane pilots and adventurous boat captains, some of the most creative solar pioneers in the world have trusted SunPower to help them push the boundaries of what solar can do. With our record-setting technology, they’ve set records of their own, taking solar higher, farther, faster. Why? It’s simple. We want to change how our world is powered. We design and manufacture the most efficient and durable solar technology on the planet. For the past 30 years, we’ve constantly demanded more of ourselves, never settling on being a conventional solar company. Throughout our history, we’ve been stretching the boundaries of solar innovation in every direction, always raising our own bar — from our technology, to the way we design and build our products, to the customer experience we deliver every day. As one of the world's most innovative and sustainable energy companies, SunPower provides a diverse group of customers with complete solar solutions and services. Residential customers, businesses, governments, schools and utilities around the globe rely on SunPower's more than 30 years of proven experience. From the first flip of the switch, SunPower delivers maximum value and superb performance throughout the long life of every solar system. 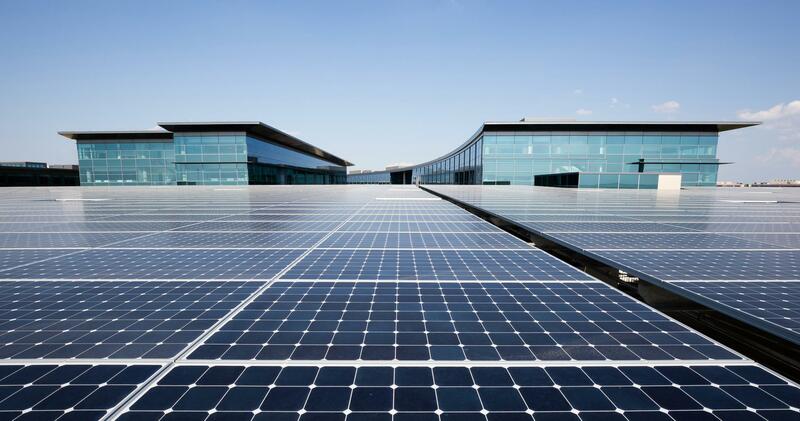 Headquartered in Silicon Valley, SunPower has dedicated, customer-focused employees in Africa, Asia, Australia, Europe, North and South America. 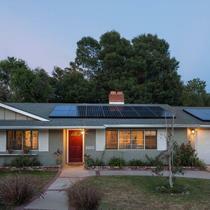 For more information about how SunPower is changing the way our world is powered, visit www.sunpower.com. 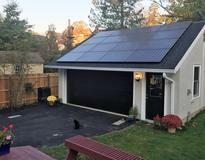 I've had my SunPower System installed for almost a year. System has worked as advertised with no failures, and production has be as promised. To the best of my ability to compute, the monitor system seems to be quite accurate, probably within 1% for usage/production. 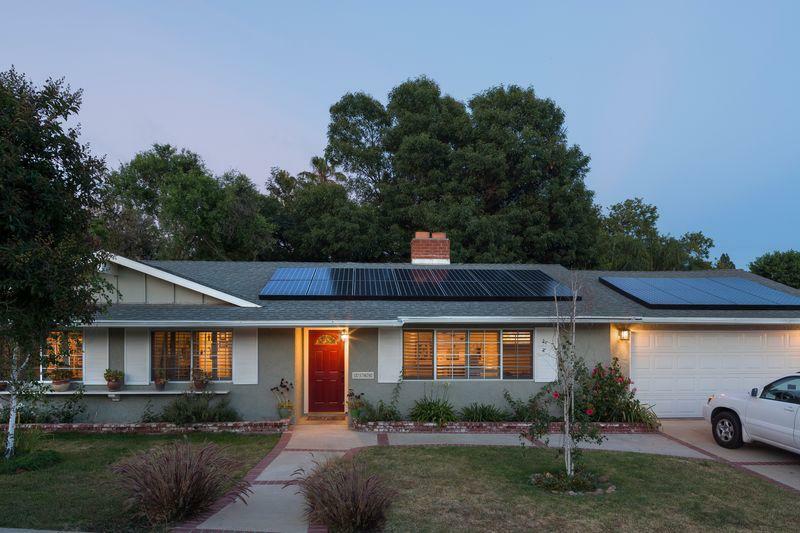 "16 SunPower X22 360 watt panels installed on my San Jose, Ca Home"
I have worked in Technology all my life and I have received Solar quotes for my home from over 6 companies. I decided to utilize Sun Power panels to create the most power from my south facing 2nd floor roof. I fully understand the advantages of AC power coming from the panels and the 25 year warranty provided by my local SunPower installation team. My system was installed in late August and to date has generated about 1/3 more power than I use. I realize that will drop as we move into the winter months, it is now being impacted by the smoke coming down from the California wildfires. My next step is to install a battery storage system which I will probably buy from Enphase. "1 star is 1 too many!" 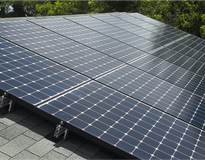 I contracted with SunPower in 2015 because a trusted family member worked for the company and sold me on the merits of the company and their panels. For the past nearly 3 years SunPower has consistently UNDER DELIVERED. In 2018 we’ve had over 3 months with no solar power due to a faulty inverter. No solar production from June 24 to August 2 and again from September 15 to present (November 6). Absolutely NO communication from the company. Email goes unresponded to. Phone calls all elicit the same response from a foreign accented person stating its being investigated The local electric company that installed the panels has bankrupted and the company assigned to our account doesn’t return calls. SunPower has been 100% unresponsive. The only time I hear from a representative is when I leave a scathing review, yet issues are still unresolved. I absolutely cannot recommend SunPower. We are now seeking legal remedy! Eric Frazier and the Amazing Team of extrodinary Gentlemen AKA Freedom Solar out of Austin Texas installed an Awesome PV system on the roof of my home. It looks great and offsets 100% of my electric bill. I have a $1200 credit built up with the city. I charge my electric vehicle and will never pay for gas ever again. 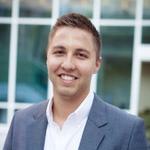 The service and the whole process was the best experience Ive ever had. 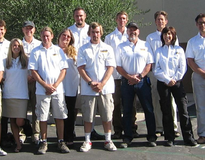 The People at Freedom Solar are passionate about leading the Solar Revolution and they put the customer’s experience as the priority. Couldnt be happier. Thank you Freedom Solar!!! 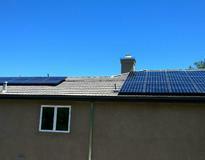 Very happy with Sunpower solar panels and the installation by Freedom Solar. Our entire electricity bill for the first full 12 months with solar panels was only $199...that's for the entire year, not monthly. And we live in Texas! In a 3700 square foot two story house. 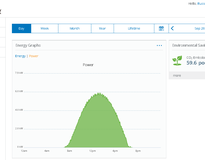 Both Sunpower and Freedom Solar have been very responsive to any minor issues and updates to the system. Couldn't be happier and highly recommend both companies! 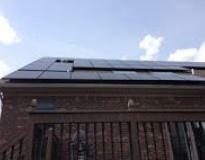 I Had Freedom Solar install a beautiful all black 7 kW SunPower solar system on my roof. They were the most powerful panels available and a US company! Texas Summer has nothing on my electric bill these days. 80% of my usage is covered. Thank you sunpower and Freedom Solar. "Yay for Solar, terrible customer service"
This company has been an absolute nightmare to deal with from day 1. Their communication is terrible. No one talks to each other, it’s impossible to get a hold of anyone who knows what’s going on. 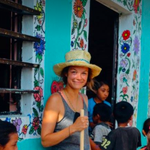 We had various things scheduled along this process to get the solar panels installed. Not a single one happened on the day it was scheduled. We had people just showing up at our house with no notice. And we took time off work to be home only to have no one show up. Do NOT go with this company. Yet again another company that sends there call centers over seas. Stay away!!!! Even the installer said that they were having a lot of issues with the inverters that they were installing and within 1 month my system is down and now 3 weeks with not so much as a call back to have someone come out and fix my system! From the 3 times we have called it took over an hour to get a rep on the phone with no resolve. "Performance & Aesthetics The Best"
Very pleased with our E-20 AC Equinox system. It’s the nicest looking solar array in our neighborhood. We purchased it after a great deal of research. Glad I put in the time. No electric bill since installed and we live in the Northeast. Cost more but leaps above the other systems in looks and performance as far as we can tell. For 2 years it has produced around 127% more than we used on average. "Customer service, yeah not really"
"The Best Panels Out There"
SunPower panels are the best panels available on the market. They are the top shelf of the solar industry. Not only do they look way better than any other panel, they are the most efficient, and backed by the best warranty. 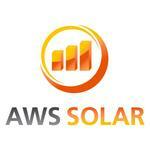 By far the best value in the solar industry. 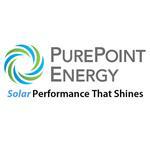 Plus they vet their dealers so you know you're working with a good company if they are a SunPower dealer. 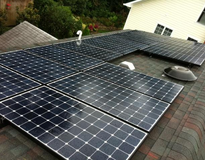 "Highly recommend sunpower solar panels"
Totally satisfied with the power output of sunpower solar panels. they were chosen over others because of their efficiency. they did not disappoint us.  Having installed a solar system consisting of sunpower brand panels, my electricity bill have gone down to zero for the two years since I have owned th e system. Great quality panel s ,US made highly recommend. "Good system - Especially good App"
Very satisfied with the system. Only one problem since it was installed 2 1/2 years ago, which was quickly fixed by the installer. Particularly like the monitoring App and the information it provides. Panels look great and work even better. The mounts are low profile with no overhang, and you can barely tell they’re on the roof. Rated to provide me about 70% of my needs and so far they are exceeding expectations. Would absolutely do it again. "Be your own electric utility company"
We've had our 6 kw pv system now for 15 months and have been impressed with the results. We have saved more than $1,300 while supplying 2/3 of our total power needs since the install. In fact, based upon our experience, we decided to purchase a Honda Clarity plugin hybrid electric car in March. We've driven over 1,400 miles and used only 4 gallons of gas. The rest of our car's energy comes from our Sunpower system at about half the current cost of gasoline. We plan to add some additional panels in the near future to provide an even greater portion of our energy needs. We love the app for the computer and smart phones to instantly retrieve lots of real-time data about our current and historic energy use and production. A great feature! We are delighted to have made this investment to be energy self-supporting for now and for many years to come. Glad we chose the Sunpower system. 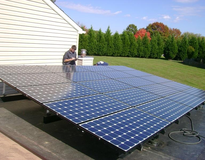 "Sunpower by Positive Energy Solar Review"
When I first started looking into solar energy for my home, it quickly became very confusing trying to compare the various panels, inverters, types of installation, etc., even with an engineering background. After much research, I came to the conclusion that the best equipment and best value for the money was Sunpower. There are two companies that install Sunpower equipment in the Albuquerque area and the best priced of the two was Sunpower by Positive Energy Solar. Unlike many service providers I've dealt with in ABQ, my experience with Sunpower was top notch. They were professional from start to finish, did their work on time and charged exactly what they said. My system has been running for two weeks now and production is what was claimed with no start-up glitches at all. I highly recommend (and commend) Positive Energy Solar, Jim Pettegrew and their work crews. Not the cheapest but I think they are the best. Just do it! Almost a year in and we're seeing significant results daily. Our dealer, SolarTech, put together the right solar package for our needs and we're tracking on point. When looking at panel providers, the 25 year warranty was critical in our decision as well as SunPower's commitment to clean energy. This is what they do and they excel at making the best panels available. 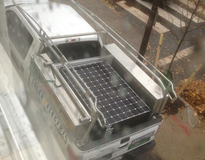 There are a lot of reasons we went with Solar Tech (our installer) and Sun Power. Local rep who was extremely knowledgeable; a product made in the US - with all components made by SunPower - not parceled together from various sources...and the option to add pool solar at the same time - all as part of the same package install. Haven't paid a $ in electric since! The sales process was easy, but the installation was a little cumbersome. The fact that their base is in Charlotte and Anderson, SC is two hours away, made the process slow. The installation took more than expected and did not pass the first lllocal inspection. Making the small corrections required took a couple weeks, and then almost a month to power the system. There were some ridiculous hiccups with duke power to aprovve and install the new meter but it was solved. As far of the system itself, it is not producing as much power as expected, but it is just fine. The service was good, the project manager answered all my questions but she should be more proactive communicating the status, instead of waiting for the client to call. Put 15 365 watt SunPower panels on a pole with a SunnyBoy inverter right at the pole. On a slight hill behind house. Beautiful sight. On a clear day the panels easily reach 5,000+ watts/hr production of a theoretical max of 5,475/hr watts. And when it snows I crank the array to it's most vertical position and the panels clean themselves with some wind assist and heat produced. Nice. "SunPower in New Mexico is the real deal"
SunPower's local affiliate - Positive Energy Solar - from start to finish - always did what they said they would do. From my initial visit with a SunPower sales manager, through several tries at sizing the "right" system for us, to efficient visits by the project manger, designer (layout on our flat roof), etc., to the installers (one-day job - amazing! ), to follow-on calls to get information for my taxes, SunPower never disappointed. There are a number of solar companies in New Mexico, many good ones, I'm sure, and several of which I interviewed along with SunPower. But SunPower always stood out. They are credible, customer-oriented, and performance-driven. You may make a different choice and be happy, but I suggest that you at least include SunPower on your short list. Oh, and the cost of the system, which is providing more energy than we use on most days, was quite attractive compared with other offerings. The excess we supply to the PNM system will be useful when our air conditioning is needed this summer. We had our 7.5Kw system installed just about a month ago. The panels look great and are producing as designed. Their monitoring app is easy to use and shows us everything we need to know out our system production/ usage daily, weekly, monthly and for the life of the system. So happy to be powering our house through solar. "SunPower Above All Other Panels"
After an exhaustive research into different solar panels, I learned there are premium panels, decent panels and garbage panels. I won’t get into what criterion I used for brevity sake. 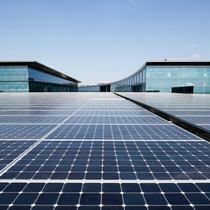 It was quite obvious that SunPower solar panels are premium panels. I was able to negotiate a price to purchase that was very close to lower tiered panels. It has been five months. I was skeptical at first of generating 10 SRECs a year as estimated by the installer because my panels were installed during one of the worst winters in record in terms of snow accumulation. However, after earning more than 1 SREC a month for March and April, I am confident of earning 10 SRECs a year. I am very happy with my SunPower solar panels and equipment, they perform as advertised. They also look good on the roof with the invisimount installation. Their software system provides me with hourly, daily, monthly, yearly and life time production and also provides me with an emailed monthly report that shows my energy production for the month. 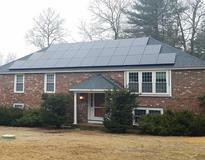 We had a SunPower solar array installed by Positive Energy Solar late last year. It is working great. Our energy bill has been reduced by about 95%. I especially like the webpage they provided. It gives us up to the minute updates on the performance of our array. "Untrustworthy, unprepared, poor at their core work"
Spectacularly poor service. We've had panels on our roof for months. They're completely unable to be activated. All I've received from SunPower so far are broken promises and updates that never come. When I get calls back, they've done no prep, have no updates, and seem to be completely clueless about how solar is activated. It's pretty nuts. I feel like you'd really have to try hard to be this unhelpful. I would never recommend working with them. 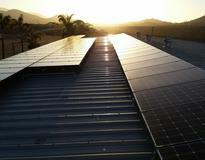 Best panels on the market with most complete warranty. The proof is in the warranty. The manufacturer stands behind their product and their dealer network. I have a broken solar panel. After about 4 months of me calling and following up, the panel finally came in. Then they couldn't find an installing company to install it...another 2 months. They came out and it was the wrong one! They found that there is another one broken. Supposedly got them on order...I've called probably 6 more times and every time they tell me they're on order. This time they tell me they aren't even ORDERED YET!! Go with a different company...this one has no follow through and could care less about their customers!!! I had Sunpower install solar on to a new home build in May '17. I moved in the middle of June '17 and turned in my paperwork on July 10th, 2017. Today is December 8th and I still do not have operating solar. I have had to turn in the same paperwork 3 times, all with the same information on it. I can't comment on the Value or Quality as I have not been able to see what those might be in 5 Months. Other homes had Solar installed 4 weeks ago and are operational. This is beyond ridiculous. UPDATE: Finally got the panels activated and received my first bill. Dropped the bill by about 45% which is great. I am happy now. Upgraded the rating. "Best panels with the best warranty "
Just had 32 of their top panels 360-c-ac installed on 2 sections of my roof for 10kw. With many cloudy days my system reduced my first months bill by over 65% from $150 to $46. That is in just 3 weeks. With the 25 year warranty I expect to do quite well eventually. They cost more than most companies but the warranty was important to me. The main complaint I hsve is not being able to monitor performance at the panel level lkke I've seen other brands o#er. I was a little afraid to put panels on the front of my home looking at some of the ugly solar panels in my neighborhood, but I found it was time to do something because my utility bill was killing me. I decided to go with SunPower and I got their x21 335 black on black panels. I have to say they look absolutely incredible. I had a few of my neighbors even come over to my house and tell me how ugly they're panels look compared to mine. 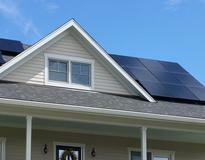 If you're putting the panels in the front of your home you can't go wrong with SunPower. "Made in USA ? " "Our headquarters and research and development operations are located in California, and our manufacturing facilities are located in the Philippines, Malaysia, France, and Mexico." The reason for 4 stars is because of some dealer and some website says those panels as they are manufactured in the USA. Don't get me wrong are good solar panels, but are not made in USA and be ready to pay a premium price for their quality. These panels have produced more than 100% of my needs for the past 3 years. I bought them because they were the most attractive option for the front of my home and that they have the best warranty. I think it's clear Sunpower makes the best solar panels, but you pay a price for them. My prediction is that the technology will keep getting better, and in 10-15 years you may want to upgrade your system anyway, so why would you pay a lot for premium panels with a very long lifetime? In 15+ years, the low cost panels are likely to be more efficient, and you'll want to replace your (golden) Sunpower panels, anyway. But, if you must have the best - and cost is no object, this is the best.